grown into a beautiful work of God Almighty. let us grab a hold of that beauty and spread it’s aroma around the world! The beautiful and permeating aroma of Christ. He IS alive and well and in our midst! of today. However, they do things differently than most in the church world have ever done them. privacy while staying in the group. way, the generation of people 50 years old and above are also coming to use these tools in huge numbers. from the web, such as itunes; in becoming their friend on sites such as Facebook, Twitter, and Myspace. yet, they will come to know Jesus Christ as Lord and Savior. message to where the people were. it out into the water. So he sat in the boat and taught the crowds from there. Lord, like Jesus, John Wesley, and Harry Denman before us, let’s take the gospel to where the people are. slack, tightly tied as they are to your future in heaven, kept taut by hope. how thoroughly love had been worked into your lives by the Spirit. hard in his orchard. As you learn more and more how God works, you will learn how to do your work. that he has for us. knowing Christ Jesus as your Lord and Savior. I love this song and everything it means. God has been speaking to me about being ONE with HIM. In everything I have done over the past 6 months God keeps telling me that WE ARE ONE no matter where we are, who we are, or what we are doing. We are ONE BODY SERVING ONE LORD. We are bound together by His Son, Jesus Christ. Yesterday as I was doing some work in the studio I was playing with a piece of multicolored clay. It was red, white and blue. As I rolled it around in my fingers, I mashed and pulled on it and then rolled it up again. Each time I did this the colors would mix together a little more. Well, by the time I had gotten to bible study, that little ball of clay was all one color and do you know what the predominant color was? Red. So, today, as we journey into Day 3 of our 40 days of devotions, I am asking God to BIND US TOGETHER LORD. To Bind us together with cords that cannot be broken. To bind us together with love. I am so excited to be a part of the Holston Conference and I see God’s hand at work here in Hillsville. God is bringing people into our lives intentionally…all we have to do is invite them through the doors of our church buildings, take them by the hand when they get there, and offer them extreme hospitality. It doesn’t matter what they look like, what they are wearing, or how they smell. There are no prerequisites or dress codes in God’s House. What matters is that WE ( you and I ) invite them IN to meet GOD face to face. Because GOD IS THERE in each one of us. Now let’s go out and do what we are called to do…EMBRACE the world with Christ. I found this song on YOUTUBE and it is so fitting for this time and day. We will be meeting at the glorious river at Camp Dickenson…. This song is for Pastor Ronnie and Pastor Betsy… I love you brother and sister…press on! accepting of me right away. our lives in service for you. In Jesus’ name we pray. Amen. possible to make appointments in homes that were wheelchair accessible. witness and work for Christ, Betsy did, but she never used excuses. Now for the challenge: The Holston Evangelism Conference in Knoxville this past week-end was outstanding…several of you were there and brought people from your churches. We were all amazed at the number of people who came, mostly laypersons. There were 350-400 there and as one speaker said, “There is something about to happen in this conference. This many people don’t give up their week-end to come to a church meeting unless the Spirit is drawing them.” As you know, Holston has a goal of baptizing 3000 people on Pentecost Sunday (May 23rd). This number may sound unattainable, but the Lord gave me a formula to break the number down so we could have a more realistic goal. If we divide the 3000 by 12 districts, each district will need to baptize 250 people. If we divide 53 (the number of charges/station churches we have) into 250, each of our circuits/station churches will only need to baptize 4.7 people! If every district would “do the math”, each church/circuit would know what they should aim for, and then pray for the Lord to show them who to talk to, who to witness to, etc. You know, sometimes there are people who have attended church for a long time and who have never joined, who would really like to be baptized and make a confession of their belief in Jesus. Sometimes we don’t think to ever offer baptism, etc. Other times, church members will say, “I have a family member who has talked about getting baptized…” I am praying for new converts….but also let’s look around….there may be people who haven’t been offered baptism or offered Christ, right under our noses. Our goal for WY District is for 53 pastors to baptize 4.7 (how about 5!) people! Can we do it? No, but the Lord can! Does this district rise to challenges? Absolutely. We always give more than the goal set…we always fix more food baskets/health kits than the goal set. Please share this challenge with your church/churches. Tomorrow, February 23, 2010 marks the beginning of Forty Days of Prayer by the people of the Holston Conference United Methodist Churches. It is my prayer that the Holy Spirit might prepare and equip us to communicate in an invitational way to our friends, acquaintances and those strangers among us God’s desire to be in relationship with all persons. Please join me in this 40 Day Prayer Journey that begins of the 23rd of February and ends 40 days later. I believe if we will join our voices and hearts in conversation with God, our Lord will hear and empower our lives that we may point people to Jesus. Bishop James E. Swanson, Sr. 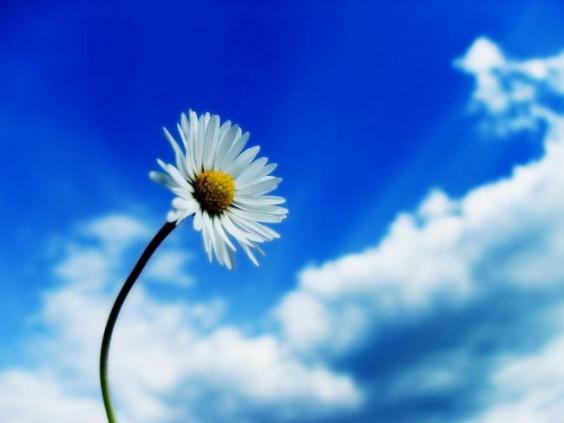 I am an ordinary person who has realized God’s purpose in my life. It has taken me a lifetime and I am finally here, walking hand in hand with God on His amazing journey. I am proof that God DOES use ordinary people every single day. I am a mother of two beautiful young women, the wife of a loving and caring husband, a daughter, sister, and friend. God instilled a love for reading, writing and drawing in me at a very young age. He used my parents as my guides, along with many others. My Father is a carpenter- yes, my earthly father! He can build anything with his hands and mind. God gave him that gift. He passed that gift on to me. My Mother is a wonderful photographer and she passed that love onto me also. Both of my parents love to read and my Mom loves to give beautiful descriptions of weddings, people, events, and just daily life. I can remember her always being able to do that and she still does to this day. My Granny loved to work crossword puzzles and was an ace at spelling. All of these things are from God and have helped me realize God’s purpose for my life. These things are all proof that God really does use the ordinary to fulfill his plans. Not one of us is any more special than the next. God loves us all equally. He gives each of us different talents and gifts so we can come together and work as ONE BODY for HIM. That is amazing to me because just like a car has many parts to make it run- without one part it won’t run. So, all parts are equally important. 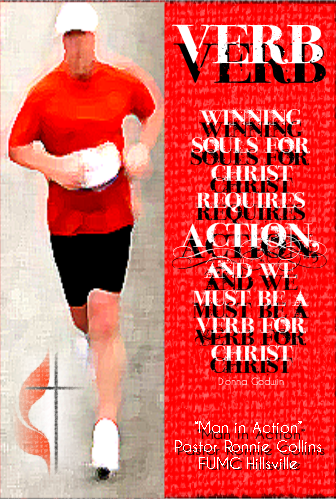 God gave us His Holy Word to make us “run.” All parts are equally important and without one- things change. We can have love, but without faith, what do we have? We can have faith and love, but without action where are we? We need all of it, not part of it. One of my goals in life is to help others realize God’s invitation to them. In reading Day 5-Unit 1- of Experiencing God- I had a vision of a person receiving an invitation in the mail. 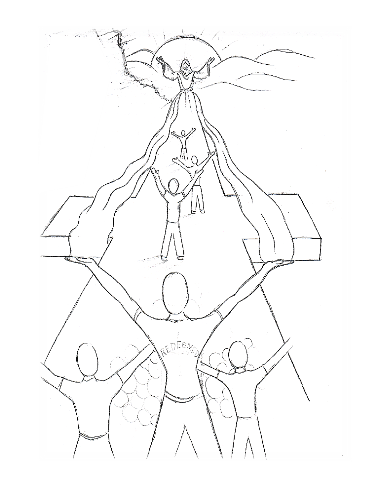 As they open the envelope….God’s touch seeps out and wraps itself around the person, weaving in and out of thier being. As they read, they are convicted by God’s loving invitation to join Him where He is at. The invitation reads…I love you my child….please join hands with me in this journey…I yearn for you to walk side by side with me…let’s meet today! It’s so simple…we make it hard. I want to encourage you to send someone a note today. Let God be your guide in your words, invite someone to meet God. Pray over the card and then mail it! The bible is God’s love letter to the world…it is my heart’s desire for people to come to know this love in a new way…not judging or fingerpointing, but loving, kind, compassionate and REAL. You can be that catalyst for someone today! It is when we all walk in love, hand in hand that we can turn the world upside down for Jesus! Spiritual disciplines such as prayer and fasting keep us awake. important spiritual disciplines in the life of the Christian. 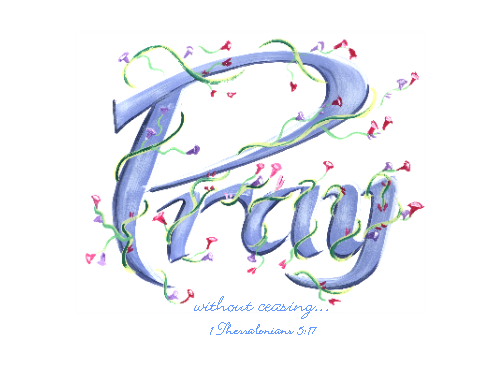 Giving, praying, and fasting. would practice these disciplines. Jesus didn’t say if we give, pray, and fast, but when. to seek Him in these 90 Days of Investing in the lives of 3000 people. hair and wash your face so as not to show the world how wonderful you are for going without food. no one knowing what you are doing. 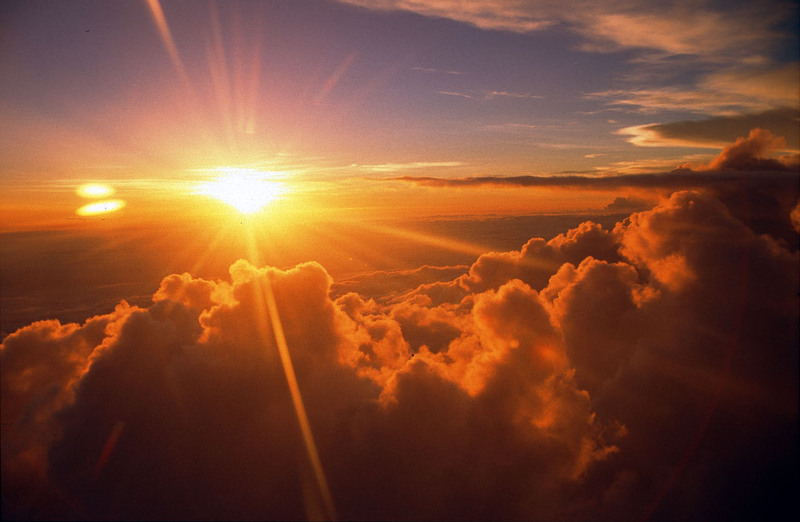 and because you are practicing a spiritual discipline that will help you to be awake when the sun rises. 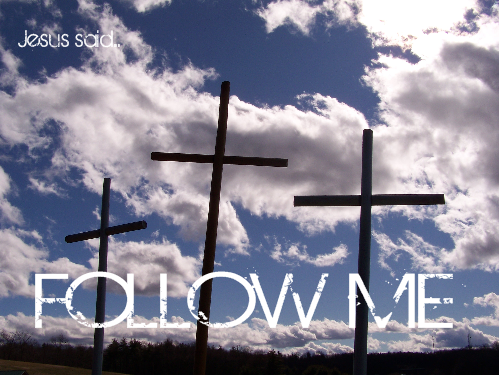 I encourage ALL Christ Followers to join us-regardless of denomination! Tuesday February 23rd will start the 1st phase of our Holston Conference emphasis on Evangelism. I hope that you will come along and join us. God is at work! I will be posting each day of the 40 Day Devotional here on the blog. Each day has been inspired by something in Harry Denman’s life. I hope that you draw closer to God, get a passion for leading people to know Jesus and get to know more about who we celebrate in Harry Denman. Please pray that God will help us to discover those he has already prepared for this time. You are about to embark on an adventure with God. What will this adventure look like? have to go. And in order to disciple them, we have to introduce them to Jesus Christ. as witnesses that we might see 3000 people come for baptism on Pentecost Sunday 2010, May 23rd. witness to the fact that Jesus is Christ and that he is alive and can save persons from sin and death. received on Pentecost Sunday, June 5? There were One-hundred-twenty in the Upper Room. They were all filled with the Holy Ghost. Let us pray and work daily that every church will have a Pentecost. Methodist Churches in the Holston Conference. 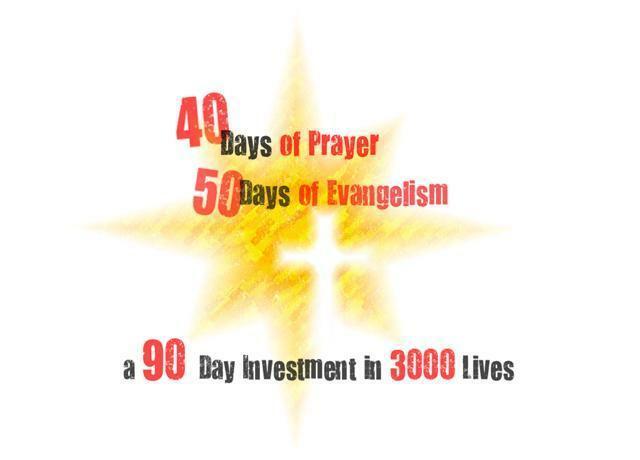 invite people to Christ, to church, during these 50 days. • 82 percent of the unchurched are at least “somewhat likely” to attend church if they are invited. • Eight out of 10 unchurched persons said they would come to church if they were invited. • Only 21 percent of active churchgoers invite anyone to church in the course of a year. • Only 2 percent of church members invite an unchurched person to church. • Very few of the unchurched have had someone share with them how to become a Christian. • The unchurched would like to develop a real and sincere relationship with a Christian. reaching people?’ I am often asked. ‘Why is our society so resistant to the gospel?’ many inquire. mirror. Nearly 130 million people in the United States alone would come to church if they were invited.